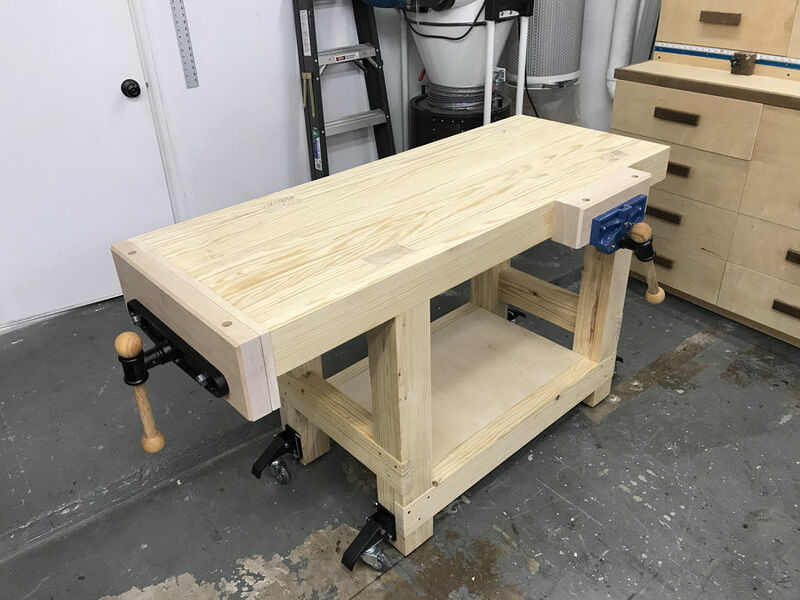 I built this project back in early August to serve as my first true woodworking bench. To say this was a much overdue project would be an understatement. 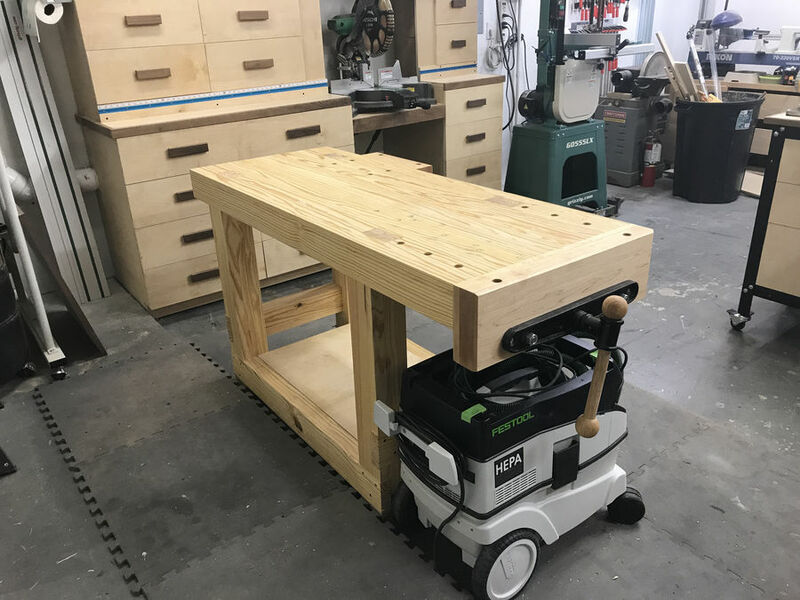 To be honest, I built this to serve as a temporary solution until I could build out my dream Roubo. 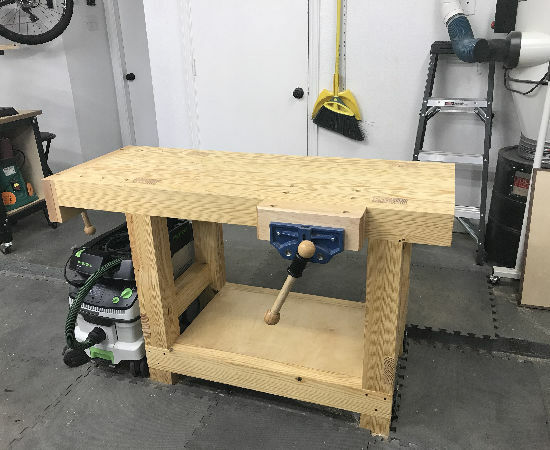 Since, like many of us, being in a standard two car garage, I didn't want to waste the effort and cost building a smaller bench that I'd regret later on when I enter a larger space. I liked the plan Jay came up with, even better was the low price of materials needed to replicate. 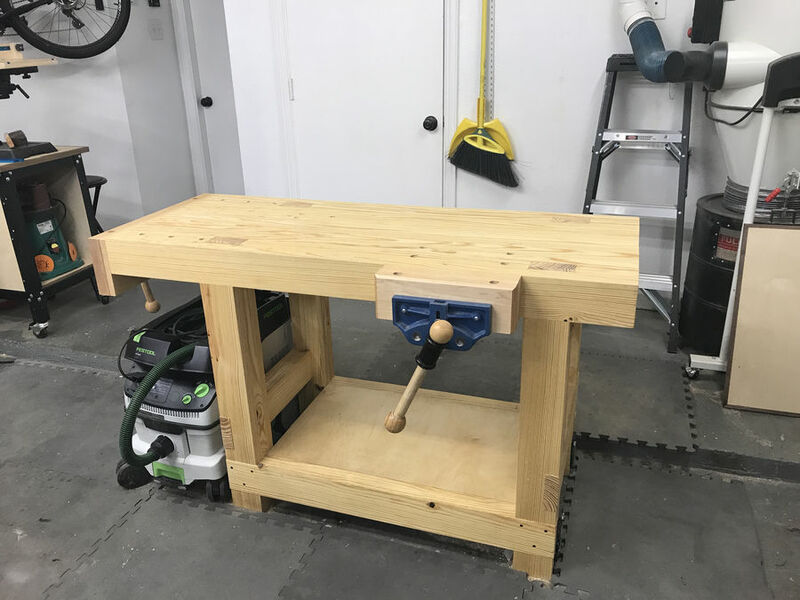 I will say, I HATE PINE, however I think it makes for a great economical workbench. 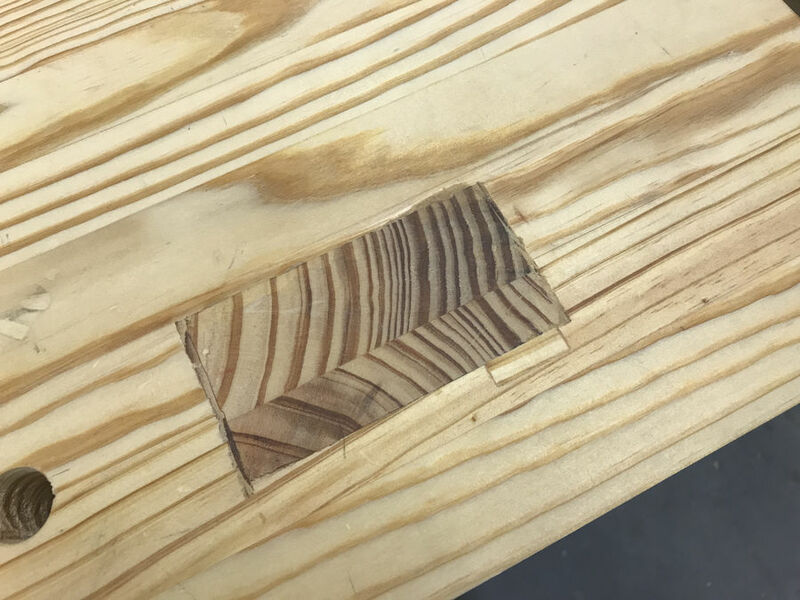 Making the through tenons in the work surface proved to be a huge pain and I made several mistakes which I partially credit the poor workabikity of pine. 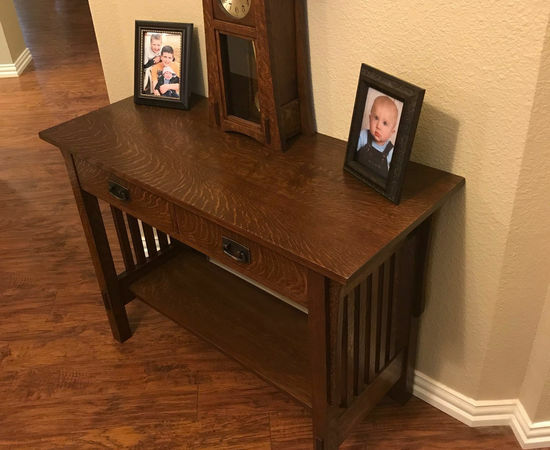 If I was to build this again, I'd skip making through tenons as I don't think the added strength would be worth it. 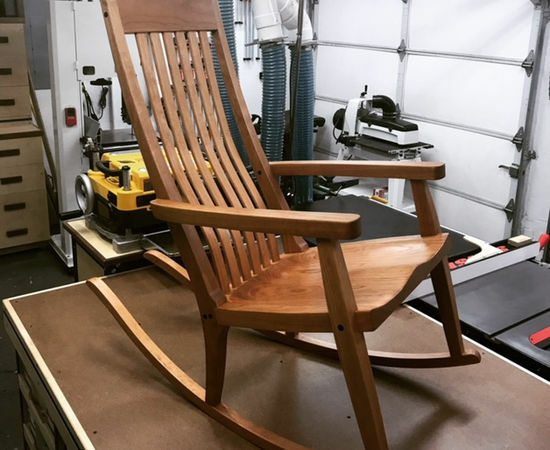 Jay's design proves to be rock solid and very customizable. 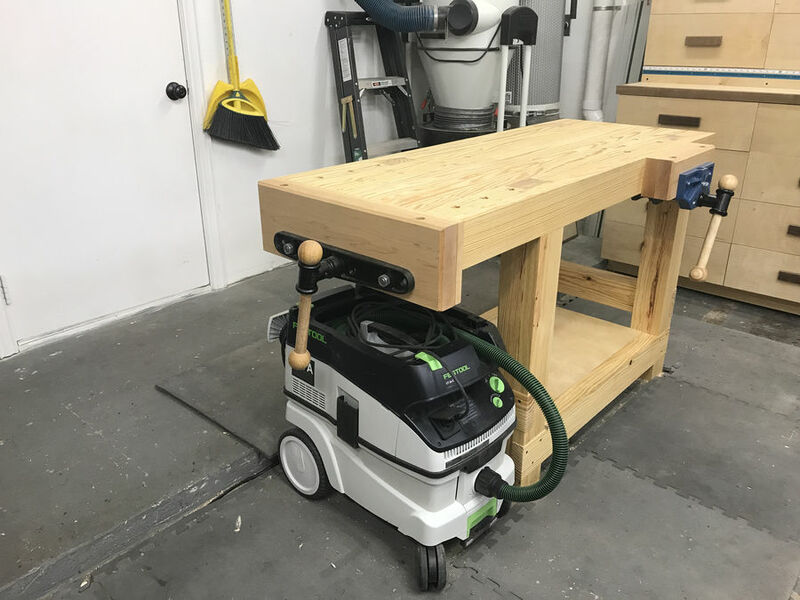 I chose to install two different vises that offered me tons of clamping options that prior to this I never had. 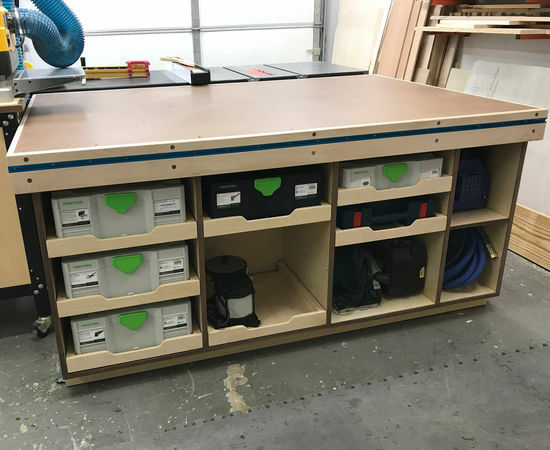 To anyone on the fence about building a workbench, I'd highly recommend checking out Jay's plans.